The Effect of Food Restriction During War on Mortality in Copenhagen is Dr Mikkel Hindhede’s account, in the Journal of the American Medical Association, of the impact of the World War I blockade on deaths in Denmark. By encouraging Danes to switch to a more vegetarian diet, Hindhede effectively saved 6300 lives. Mortality was actually lower during the blockade than before or after. By contrast Germany, also affected by the blockade, saw widespread famine. 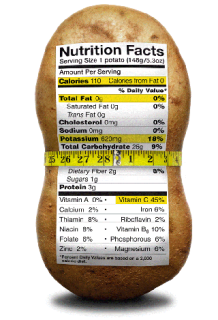 Most of what you think you know about potatoes and nutrition is wrong.